Hi guys! Sorry about falling off the face of the earth, but our move was NOT as smooth as I wanted it to be. We are still getting situated in our new apartment, but... I got a job! I am working in the Theatre Department of Point Park University. This position holds tons of opportunities for me, and I can't wait to really get into the academic year! 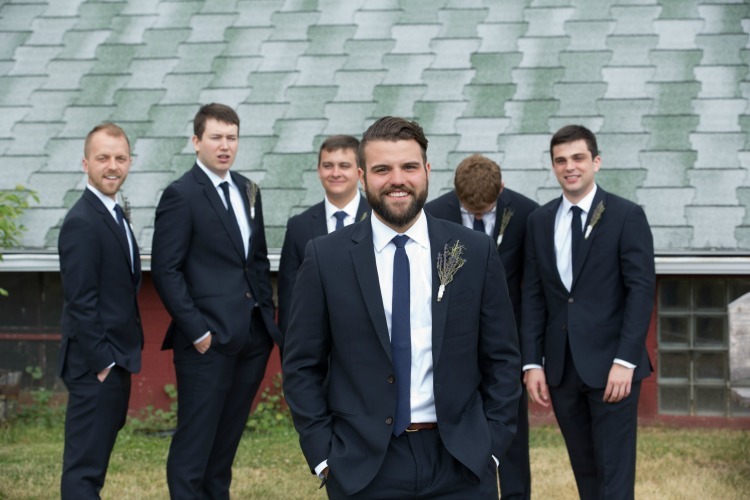 I wanted to stop by, say hi, and share some photos of some handsome guys with you for Wedding Wednesday! 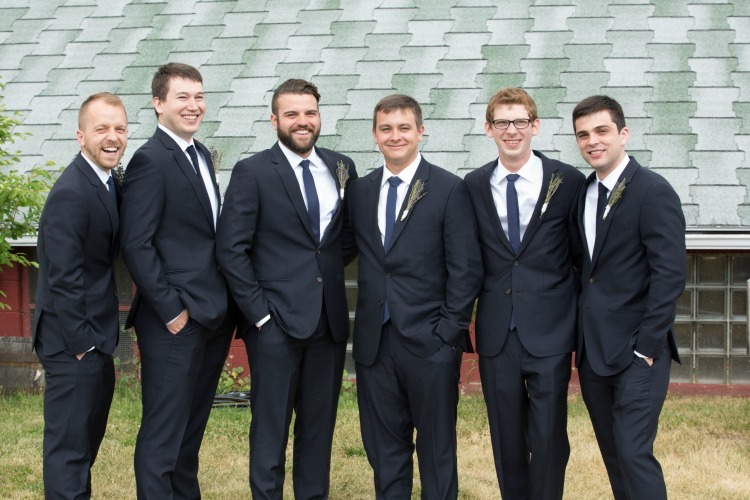 Dave wanted to do suits for the wedding, but we couldn't find navy ones anywhere. We thought about buying them for the guys from JC Penney, but that would have cost more. 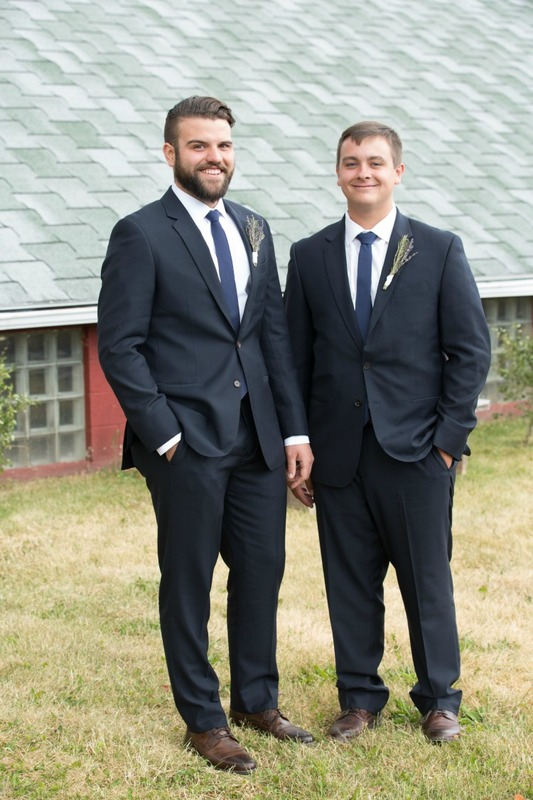 We ended up going with the Kennedy Outfit from The Black Tux, but chose a navy tie instead of a red tie. This worked out SO well, and the guys looked so nice. 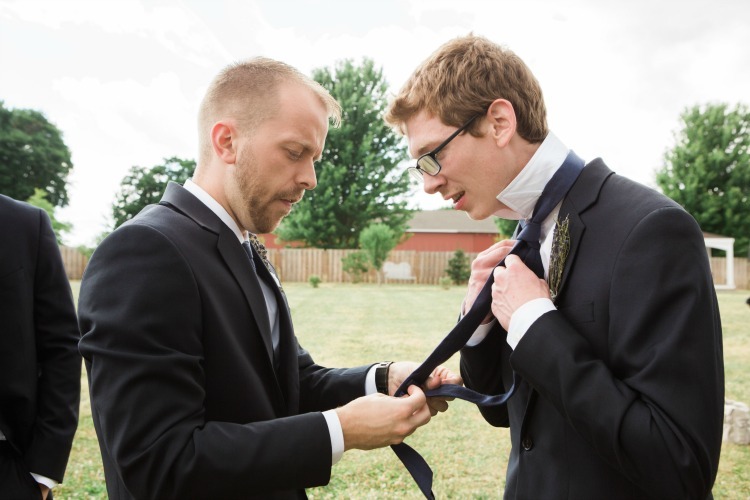 The Black Tux works just like Rent the Runway, except men put their measurements in instead of choosing their size. We got everything in the mail about a week before the wedding, and it pretty much fit everyone perfectly! 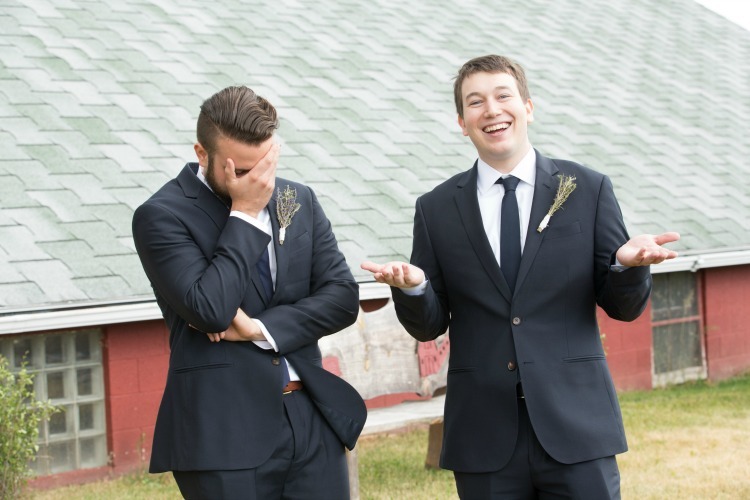 We did have one person (the best man) who needed a jacket with longer sleeves, but they sent us a new one overnight (still days before the wedding), which fit him wonderfully. 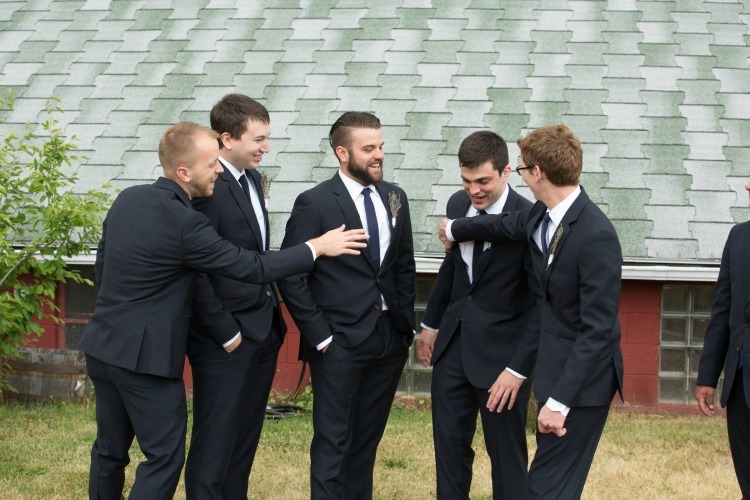 The price was awesome, and Dave actually paid for the suits as a gift to the guys. So they looked great. But how does that saying go?? You can dress 'em up, but you can't take 'em out. I mean, just look at them... Get it together guys!